It’s Sunday at Paris fashion week and I know I’m not the only one who has decided to dress down in trainers today. These are by Jimmy Choo and have a very subtle sparkly finish. 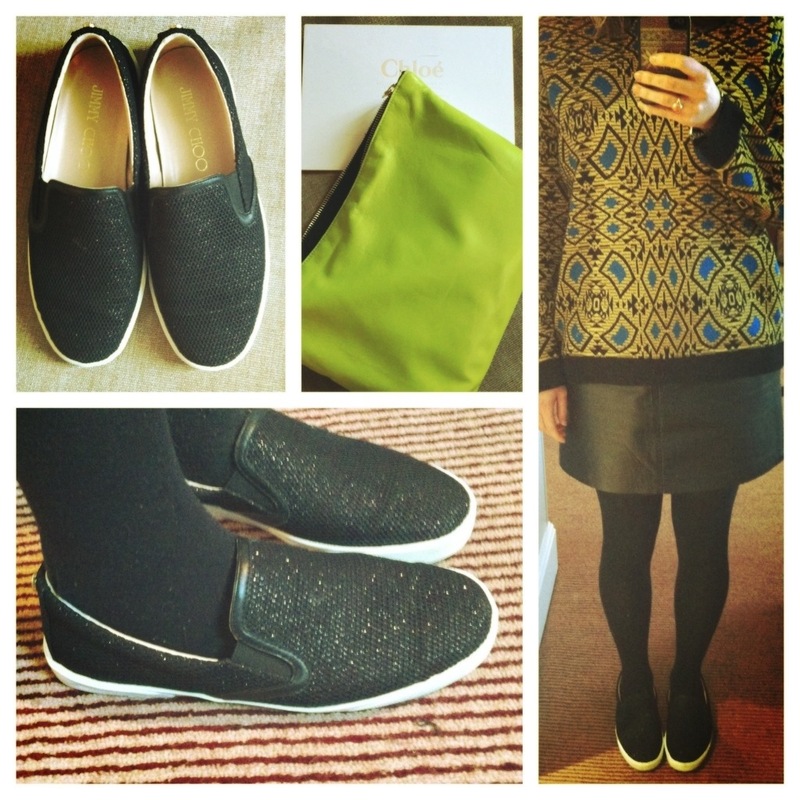 I’ve teamed them with a plain leather skirt, Zara jumper and Sarah Baily clutch. Oh, and sunglasses – the weather has finally improved!